As the standoff between Chinese and Indian troops over road construction on the borders of a 269-sq km plateau in Bhutan worsened on 30 June, India finally reacted to the Chinese provocation. The statement comes after the Bhutanese Foreign Ministry accused China of violating the border agreements. 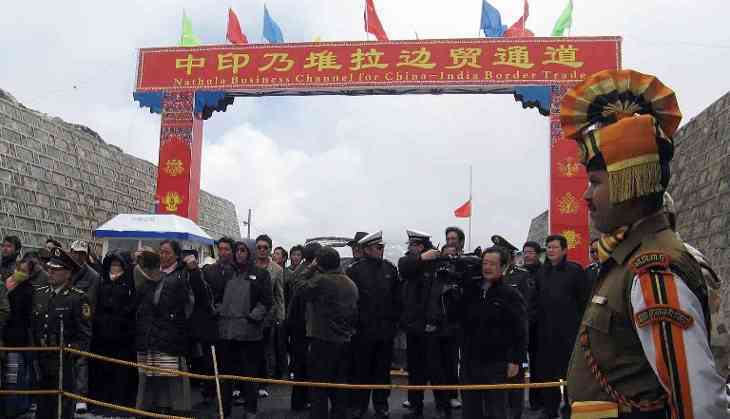 In another development connected to the standoff, the Kailash Mansarovar Yatra, which takes the new Nathu La route, stands cancelled after China blocked the route. The People's Liberation Army (PLA) spokesperson had earlier warned India that it would escalate the border tussle if Indian troops did not withdraw from "Chinese territory" and that India should not "clamour for war". Defence Minister Arun Jaitley, while responding to the Chinese, said: “If they are trying to remind us, the situation in 1962 was different, the India of today is different." A senior military source with direct knowledge of the standoff at the Tibet, Sikkim and Bhutan tri-junction, however, ruled out escalation. “In June when the snow melts, incursions are routine,” he says, adding that the only difference this time is that the Chinese are being more aggressive. But India too, he says, has decided to put an equally aggressive foot ahead. “The Indian side has underlined that the two Governments had in 2012 reached agreement that the tri-junction boundary points between India, China and third countries will be finalised in consultation with the concerned countries. Any attempt, therefore, to unilaterally determine tri-junction points is in violation of this understanding,” Indian government said in the statement. Former ambassador RS Kalha, who too, has been part of the border talks between India and China, says it is best to activate the 2012 agreement and talk within the designated framework. Ambiguity on the tri-junction is what gave Chinese the space to manouevre. It also what later angered them when they claimed that Indian forces crossed the border and stalled the construction of a road in Dhoka La, which Bhutan believes falls in their territory. The Chinese, on the other hand, claim that Dhoka La is in their territory. However, road construction is likely just a ruse as the Chinese want to push the established border close to the strategically important chicken’s neck which is being resisted both by India and Bhutan. The latter continues to be a close Indian ally despite pressure. The statement by the Indian government is revealing in the way it details the happenings at Dhoka La. The statement also makes it clear to Indian troops to continue to resist the construction of the road. According to Indian government, on 16 June, a People’s Liberation Army construction party was trying to build a road and this “unilateral activity” was resisted by the Bhutanese Army patrol. This version has been corroborated by the Bhutanese foreign ministry, which has said that China was trying to build a motorable road towards Zompelri a Bhutanese army camp. The Bhutanese embassy in New Delhi raised the issue with Chinese government on 20 June. India says the matter has been under discussion between both Indian and Chinese foreign ministries in New Delhi and Beijing. “It was also the subject of a Border Personnel Meeting at Nathu La on 20 June,” the Indian government says. India says they have been in continuous contact with the Bhutan authorities “through the unfolding of these developments” and that the Indian security personnel who are present at Dhoka La, in coordination with the government of Bhutan, urged the Chinese construction party to desist from changing the status quo. The Indian government says that “these efforts continue”. A video of Indian and Chinese troops engaged in a scuffle had gone viral on social media. Jabin Jacob, fellow at the Institute of Chinese Studies in New Delhi, says both sides are pushing the limits and that the way the tensions are building up in a new front in Sikkim is a matter of concern. Jacob believes Chinese are also trying to send a message to India that South Asia cannot be just India's playground, and that some of India's neighbours also happen to share a border with China; Bhutan being a case in point. But even though most experts say that the standoff will very likely not escalate, the fact that China has opened a new front is in itself a challenge for India.